Not a week goes by — as their dance card is filled in the run-up to the Christmas-selling season — that the studio isn’t front and center with a ton of new DVD and Blu-ray product offerings. No exception this week! The big news this week was the launch of the new Blu-ray “Diamond Luxe Edition” line. Popular and exceptional film vault treasures are getting new hi-def editions with newly-prepared bonus nuggets, which are blended with previously released bonus goodies on both DVD and Blu-ray editions. 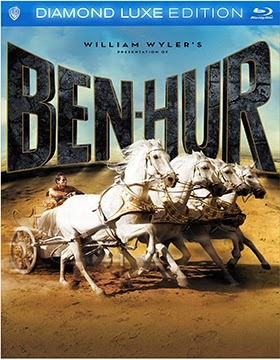 Included in this first wave are: Ben Hur (a double-disc set that also include the 1925 silent restoration), Forrest Gump: 20th Anniversary Edition, The Green Mile (with a new documentary titled “Walking the Mile”), Gremlins: 30th Anniversary (features a newly-prepared featurette titled “From Gizmo to Gremlins: Creating the Creatures”) and Natural Born Killers: 20th Anniversary Edition (includes both the original theatrical cut and an unrated director’s cut, plus a new featurette titled “Natural Born Killers: Method In The Madness”). 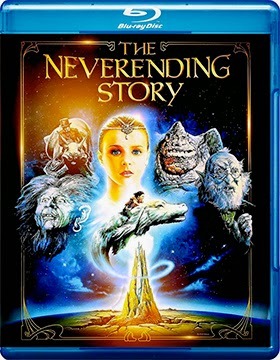 Also getting Blu-ray dates are both Neverending Story: 30th Anniversary Edition and Neverending Story II: The Next Chapter (both will be available on Oct. 7). Also from the film vault are DVD editions (slated for delivery on Oct. 14) of The Westerner (1940, directed by William Wyler and starring Gary Cooper and Walter Brennan, who won an Oscar for his performance here Judge Roy Bean) and The Princess and the Pirate (1940, teaming Bob Hope with the like of Virginia Mayo, Victor McLaglen, Walter Slezak and Walter Brennan). On the TV series front look for Arrow: The Complete Second Season (Blu-ray and DVD editions on Sept. 16); Reign: The Complete First Season (a five-disc DVD collection on Sept. 23) and The Mentalist: The Complete Sixth Season (also a five-disc DVD set on Sept. 30). Kidvid selections include Tom and Jerry: Season One, Part One (a double-disc DVD set on Sept. 23) and Beware the Batman: Dark Justice (also two DVD discs, Sept. 30). Hot on the heels of last week’s film restoration news from the Film Chest for the film noir classic, Detour (on DVD July 22), comes news of yet another film restoration that will be streeting as a priced-to-own DVD product offering on July 29. Getting the royal treatment this time out is director Hal Walker’s 1949 (held up for theatrical release until the end of 1950 to clear the way for My Friend Irma Goes West) film adaptation of the James Allardice’s Broadway play, At War With The Army. 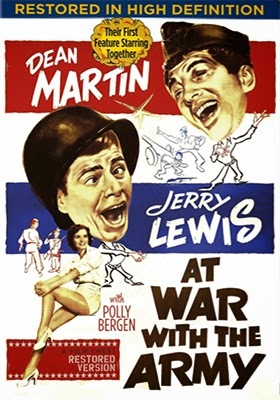 This musical comedy, teaming Dean Martin and Jerry Lewis (top-lining for the first time in what would be a run of 16 films featuring the comedy duo) also starred Polly Bergen, Mike Kellin and Jimmy Dundee. It was revealed this past week that Breaking Glass Pictures has three new-to-DVD releases planned for the month of August. 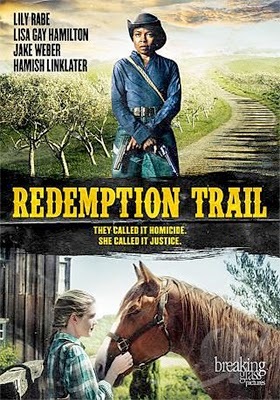 Arriving at retail on Aug. 12 is writer/director Britta Sjogren’s Redemption Trail, a warm and lyrical tale of two very different, troubled and even broken young women who discover a path to healing by helping each other. In what plays out in the tradition of a Western motif, Tess (LisaGay Hamilton — Go For Sisters, True Crime), carries baggage of a violent past and has turned to the land (ranching in the Petaluma area for an absentee owner) for peace and solitude. It is here that she crosses paths with the shallow, suburban and career-minded Anna (Lily Rabe — as Misty Day in American Horror Story), whose upscale lifestyle has come unglued as the result of a family tragedy. Distraught, suicide is her only option. The serenity of their surroundings, which serves as a nice visual counterpoint to the very diverse lifestyles that the two have abandoned, gives each a chance to heal emotionally. But such an idyllically place — seemingly out of time — only exists so long as the outside world doesn’t intrude … and intrude it must! On Aug. 26 look for the DVD debut of Brazilian filmmaker Cao Hamburger’s, Xingu, a filmed-on-location biopic about the Villas Boas brothers and their discovery of the Xingu tribe during the 1940s and the efforts that followed by them to preserve the Xingu’s pre-Columbian culture. 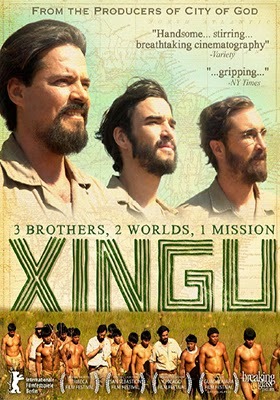 The DVD release of Xingu is presented in Portuguese with English subtitles and includes as the bonus “Making of Xingu” production featurette. Lastly, Mexican filmmaker Julián Hernández's I Am Happiness on Earth will make its domestic DVD debut on Aug. 19. In Spanish with English subtitles. The Criterion Collection has announced its DVD and Blu-ray release selections that will be ready for delivery during the month of September. 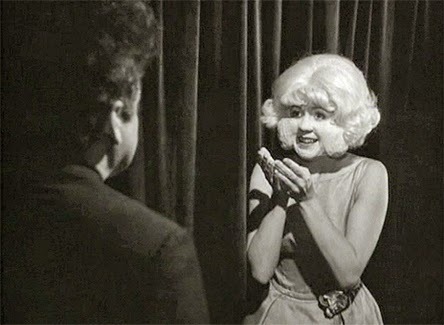 Auteur immediately comes to mind in describing the selections … Polanski, Lynch and Fassbinder are counted among them. Also, of note, it appears that Criterion is returning to the standard Blu-ray configuration for its new film releases — beginning in November of last year the company was experimenting with Blu-ray/DVD Combo Packs and cutting back on stand-alone DVD product offerings. 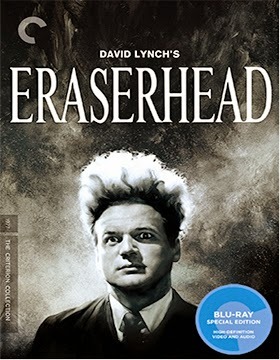 The festivities kick off on Sept. 16 with newly minted Blu-ray and DVD editions of director David Lynch’s 1977 mind trip, Eraserhead, which includes, as a bonus, new restorations of six of his short films —Figures Getting Sick, The Alphabet, The Grandmother, The Amputee, Part 1 and Part 2 and Premonitions Following an Evil Deed. Also included is a 2001 documentary on the making of the film. Sept. 23 brings newly restored Blu-ray and DVD editions of auteur filmmaker Roman Polanski’s 1971 film, Macbeth (with Jon Finch and Francesca Annis). Bonus goodies here include two featurettes on the making-of the film … one new and one of vintage issue. Also streeting on Sept. 23 and Blu-ray and DVD product choices is director Jack Clayton’s 1961 film adaptation of the Henry James’ novel, “The Turn of the Screw,” issued theatrically as simply The Innocents. Bonus features for this Deborah Kerr gothic horror gem (script co-written by none other than Truman Capote) include commentary from author, educator and film culture historian Sir Christopher Frayling. The selections for the month of September conclude on the 30th with the Blu-ray debut of Rainer Werner Fassbinder’s 1974 film release of Ali: Fear Eats the Soul and both DVD and Blu-ray SKUs for writer/director Serge Bourguignon’s 1962 Oscar-winner for Best Foreign Language Film, Sundays and Cybèle. Eagle Rock Entertainment continues to dominate the DVD and Blu-ray news for concerts with not one, but two new product offerings this week. 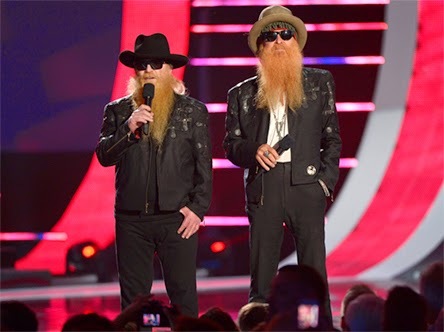 When you say “Foxy Lady” your mind immediately jumps to ZZ Top. Ditto for “Legs.” National treasures … tunes that never fade; never grow old. Turn’em up and rock’on! 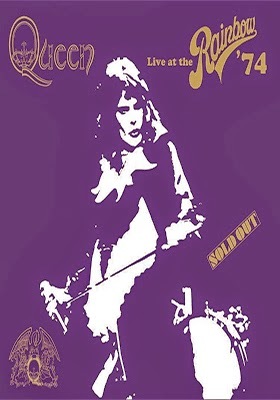 That would be new enough, but Eagle Rock Entertainment never sleeps … on Sept. 9 there will be a three-SKU selection of vintage Queen with DVD, Blu-ray and Blu-ray/DVD Combo Pack editions of Queen: Live at the Rainbow ’74. On Mar. 31, 1974 Freddy Mercury and Queen performed at The Rainbow Theatre in London. As with all Queen on-stage performances from this period their fans were not short-changed … this one was a massive 24-song set. It was released on VHS (remember VHS?) back in 1992 and has been MIA ever since. There are also four bonus tracks from Queen II Tour: Live at the Rainbow, March ’74. 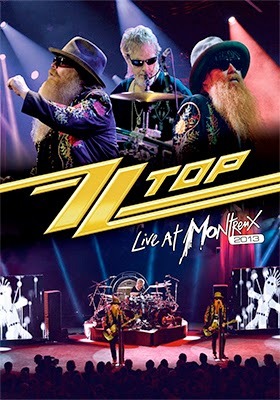 In addition to stand-alone DVD and Blu-ray edition (plus a Combo Pack), Eagle Rock Entertainment is also releasing a Blu-ray/Double CD Combo Pack and “Deluxe Edition” … which features the Blu-ray, DVD, two CDs, a 60-page hardback book and six reproductions, including the 8-page program from the concert and the purple and gold concert poster. Hollywood goes to great lengths to come up with stories for the screen. But often we find that the real life shenanigans of people being people — flawed, eccentric and perhaps even dangerous — make for some of the best tales. 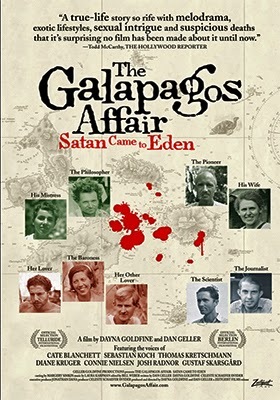 Such is the case with documentary filmmakers Daniel Geller and Dayna Goldfine, who looked back down the corridor of time to the island of Floreana in the Galapagos — and the bizarre events that unfolded there — for their film, The Galapagos Affair: Satan Came To Eden. It is due to make its DVD debut from Zeitgeist Films on Sept. 9. Its theatrical run (arthouse and major metro) generated ticket sales of $242,288 and the ARR for its post-Labor Day release window works out to 158 days. With economic uncertainty and storm clouds on the horizon in Europe during the 1930s a group of German ex-pats descended on Floreana to live alone and be carefree. The first to arrive were Friedrich Ritter (voiced over by Thomas Kretschmann) and his sickly paramour Dore Strauch (voice of Cate Blanchett), who we learn of through letters (written mainly by Ritter) and photos that the filmmakers have assembled into a narrative. 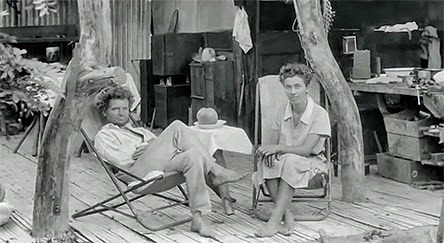 History records that soon after Ritter and Strauch set up their “homestead” on the island another German family arrived, the Wittmers — husband, wife (who would give birth to first child born in the Galapagos) and teenage son. They too set up camp and a sort of understanding was reached that they would leave each other alone. Peace. This paradise was turned topsy-turvy soon after when young Austrian Eloise Wehrborn de Wagner-Bosquet (voiced by Connie Nielsen) — who claimed to be a baroness — and her two German lovers set up shop on the island. Flamboyant, eccentric and by even today’s standards, “liberated.” It would prove to be too much for the standoffish German settlers. 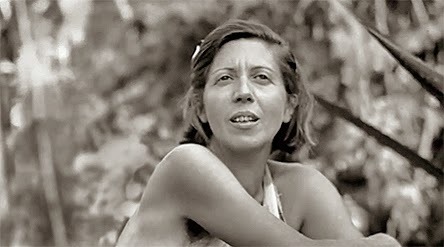 You can’t make this stuff up … when the ménage à trois went south, the spurned lover, a fellow by the name of Lorenz, sought refuge with the Wittmers and then on a spring day in 1934 both the “baroness” and her lover disappeared (a hastily prepared voyage to Tahiti was the story). Ritter, as history records, suspected the Wittmers and their “guest” of doing away with the pair. It gets better. Lorenz decides to leave the island and catches a ride with a passing fisherman … their bodies were found several months later rotting on the northern most island in the chain (Floreana being the southern most in the chain!). About six months after the baroness vanished and Lorenz met his doom, Ritter suddenly went toes-up as a result of food poisoning. Mrs. Wittmer (voiced by Diane Kruger) recorded that Ritter declared that Strauch did him in! Agatha Christie in Darwin’s paradise … The Galapagos Affair: Satan Came To Eden is well-worth a look come Sept. 9 if you can’t catch it at your local cinema. Olive Films announced its August DVD and Blu-ray lineup this past week … eclectic to be sure. Leading the pack on Aug. 26 are Blu-ray and DVD editions of iconic filmmaker Jack Arnold’s 1958 exploitation gem, High School Confidential, teaming Russ Tamblyn with Mamie Van Doren and featuring the likes of John Drew Barrymore, Jackie Coogan, Jan Sterling and Jerry Lee Lewis as himself! Director Jack Arnold, known for such sci-fi masterpieces as It Came from Outer Space, Creature from the Black Lagoon, Tarantula and The Incredible Shrinking Man, was equally adept at film noir, crime-thrillers and even comedies (The Mouse that Roared with Peter Sellers in 1959) … High School Confidential wonderfully (in a pure exploitation sense) blends together the elements of crime (drug dealing at the local high school), suspense (pulp fiction and detective magazines) and teen sexual angst without skipping a beat!!! 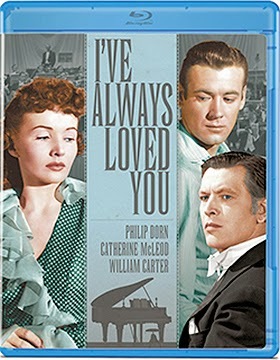 Also on the release calendar from Olive Films during the month of August are Blu-ray and DVD editions of three of director Frank Borzage’s post-war dramas … his 1946 drawn-from-history tale, Magnificent Doll (Aug. 19), starring Ginger Rogers as Dolly Madison, Burgess Meredith as James Madison and David Niven as Aaron Burr; the 1947 racetrack drama That’s My Man (also on Aug. 19 – with Don Ameche and Catherine McLeod) and finally in 1946 he delivered the romantic drama I’ve Always Loved You (Aug. 26), also starring Catherine McLeod, who is joined by Philip Dorn and Bill Carter. Arriving in August as DVD-only product offerings are: Director Henk Pretorius’ multi-racial romantic comedy from Johannesburg, South Africa, Fanie Fourie’s Lobola (in Zulu, Afrikaans and English with English subtitles and available on Aug. 12) and writer/director Emmanuel Shirinian’s award-winning black comedy, It was You Charlie, starring Michael D. Cohen (street date is Aug. 26). 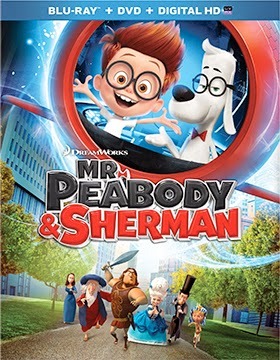 20th Century-Fox Home Entertainment has tabbed Oct. 14 for the release of multiple Blu-ray and DVD editions of the DreamWorks Animation production of Mr. Peabody & Sherman. The ARR is a deliberate 221 days (a savvy move positioning the film after the summer doldrums for better sales and retail action during the run-up to Christmas) … ticket sales came in at $110.6 million. Director Rob Minkoff’s (Stuart Little, Stuart Little 2, The Lion King, etc.) animated tribute to the Rocky and Bullwinkle spin-off featuring the smarter-than-smart talking dog Mr. Peabody (Ty Burrell), his human sidekick, Sherman (voiced by Max Charles) and their adventures in time will be available as a Blu-ray/DVD Combo Pack (with UltraViolet Digital Copy), a 3D/2D Blu-ray/DVD Combo Pack (also with UltraViolet) and stand-alone DVD SKU. Bonus features include a pair of featurettes — “Tour of the WABAC Machine” and “Time Travel: Mad Science.” Exclusive to the Blu-ray viewing options are the original introduction to the Mr. Peabody and Sherman characters from the Rocky & Bullwinkle & Friends Show in 1959, the featurette titled “History’s Greatest Mysteries: A Dog and his Boy,” two interactive games — “Time Travel Memory Match Game” and “The WABAC Jigsaw Puzzle Game” — and more! 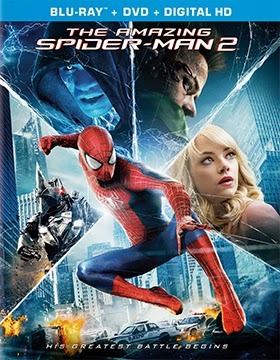 In something of a surprise move, Sony Pictures Home Entertainment has elected to release Blu-ray (both 3D and 2D SKUs) and DVD editions of director Marc Webb’s theatrical blockbuster, The Amazing Spider-Man 2, not in the more lucrative post-Labor Day period, but on Aug. 16. The ARR is a relatively quick-to-market 102 days and ticket sales currently stand at $198.4 million. Exclusive to Blu-ray viewing options are nine additional scenes and seven production featurettes.